Can we transform the possibilities we are born into? A State of Freedom wrests open the central, defining events of our century: displacement and migration. Can we transform the possibilities we are born into? A State of Freedom wrests open the central, defining events of our century: displacement and migration. Five characters in very different circumstances—from a domestic cook in Mumbai to a vagrant and his dancing bear—find the meanings of dislocation and the desire to get more out of life. 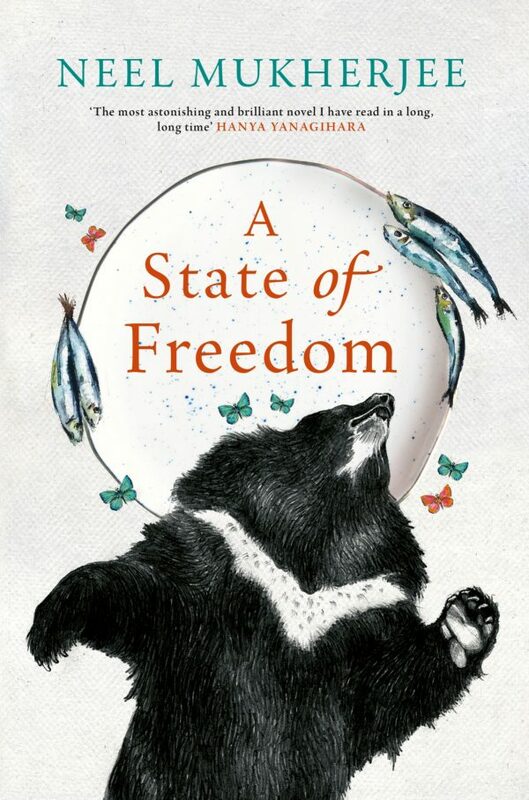 Set in contemporary India and moving between the reality of this world and the shadow of another, this novel of multiple narratives – formally daring, fierce but full of pity – asks the fundamental question: how does one imagine the ways one can live in the world, or even outside it? Neel Mukherjee is the author of two novels, A Life Apart (2010), which won the Writers’ Guild of Great Britain Award for best novel, and The Lives of Others (2014), which was shortlisted for the Man Booker Prize, the Costa Best Novel Award, and won the Encore Prize for best second novel. He lives in London.